Wooden planter with trellis, ideal for corner positions. Add instant impact in your garden made from FSC timber. 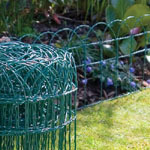 The planter has fixed lattice trellis ideal for climbing plants. Comes with liner. 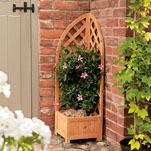 This trellis planter is made from high quality timber offering craftsman ship and value for money. These planters with trellis are finished in a weather protection sage colour. These wooden planters with trellis are supplied in three sections for easy, quick assembly. This planter with trellis is made from burnt timber for weather protection. These planters with trellis have a decorative design which will enhance any garden. These wooden planters with trellis are assembled easy and quickly in minutes. These planters with trellis are made from solid jointed timber. 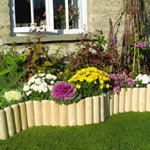 This wooden trellis planter is supplied in flat pack form and easy to assemble in minutes. This trellis backed planter comes complete with liner. 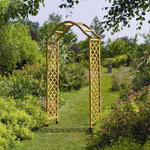 This planter and trellis is decorative and create height and interest in your garden. This planter with obelisk is made from treated timber for weather protection. These planters with obelisks have a decorative design which will enhance any garden. This obelisk planter can be painted to match any décor. These wooden planters with obelisk are assembled easy and quickly in minutes. This garden wooden obelisk planter comes with liner included.